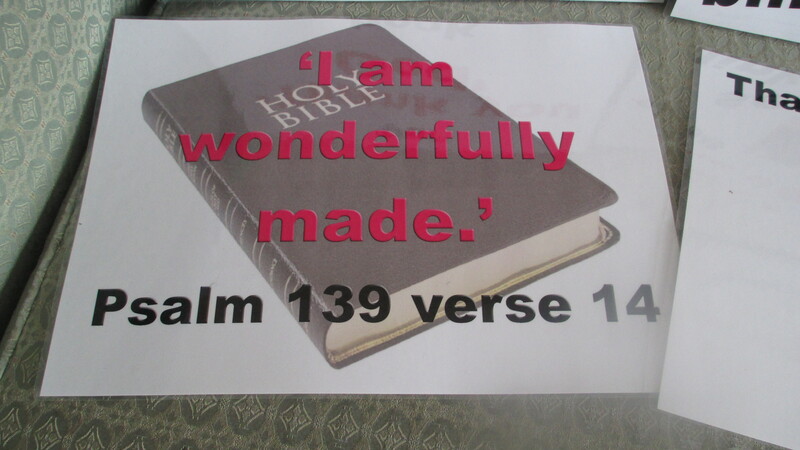 Thank you God book – for toddler group | Let their light shine! Then the following pages – with pictures added from google images. Each page was A3 and was laminated. Mary gave the special perfume to Jesus. It smelt beautiful. The children shouted ‘Hosanna’. Everyone heard. Jesus died. 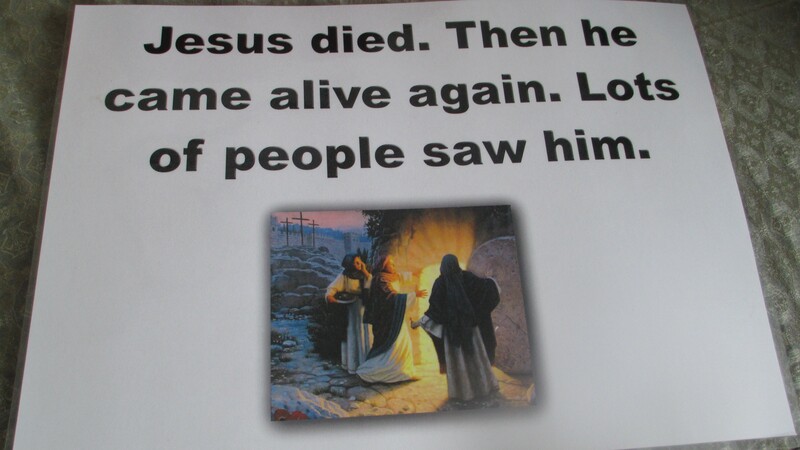 Then he came alive again. Lots of people saw him. 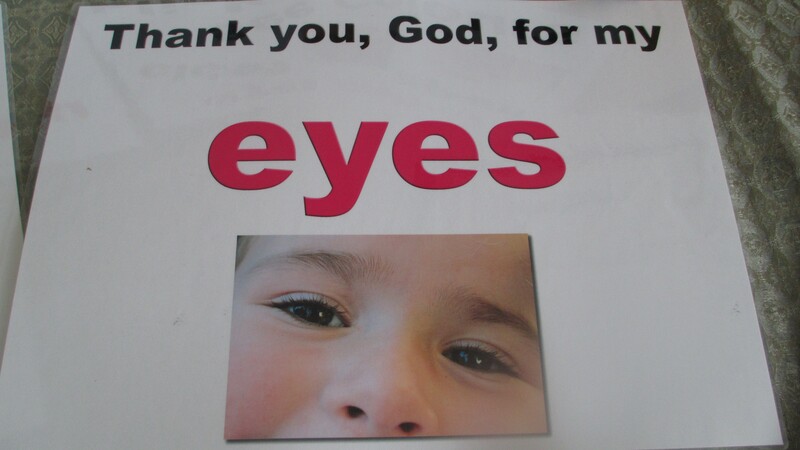 For the first 6 weeks we went through the parts of the body – so we just did hands can .. thank you God for my hands etc. 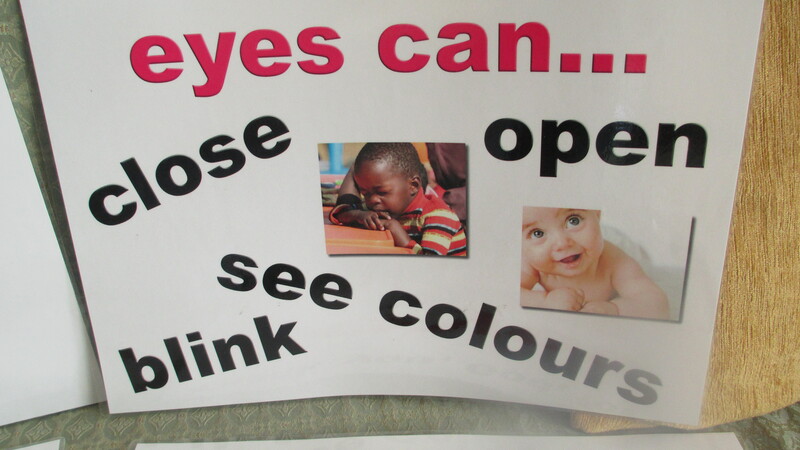 The children were able to do the different actions. Then for the next 5 weeks we reviewed/repeated what we had done but added a short bible story. We combined ears and mouths for a week as they fitted so well with the story of palm sunday. The children were able to shout Hosanna and everyone could hear them! The pictures are just to give you an idea of what we did – they were more of a visul aid for the adults as we had actions for the children to do. I find it really helpful to have something visual to refer to just in case i forget what I’m meant to say!